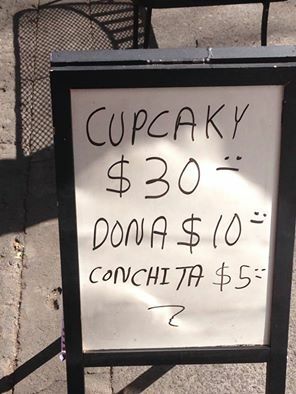 Oh, and I’m sure this thing is damn good, since it costs five times more than a conchita and three times more than a dona. How can anybody not love Mexicans? This entry was posted in Food, Language, Latin America, Marketing & Advertising, Mexico, Why I Love Mexico and tagged English, Language, Mexico City. Bookmark the permalink.